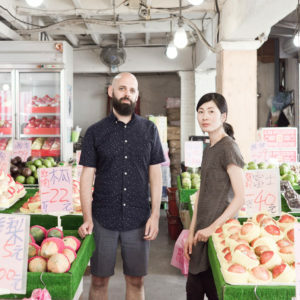 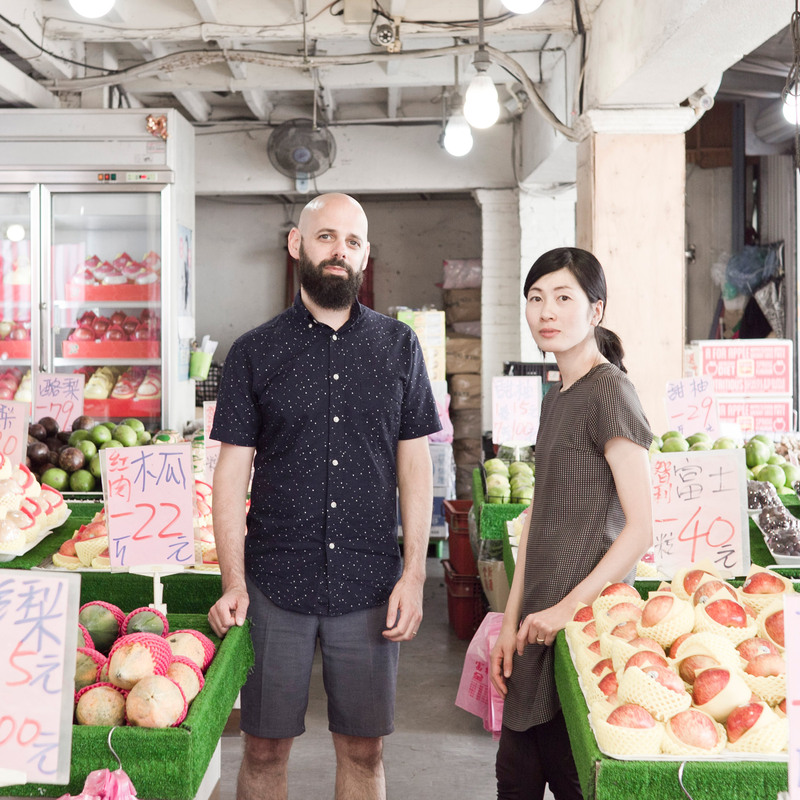 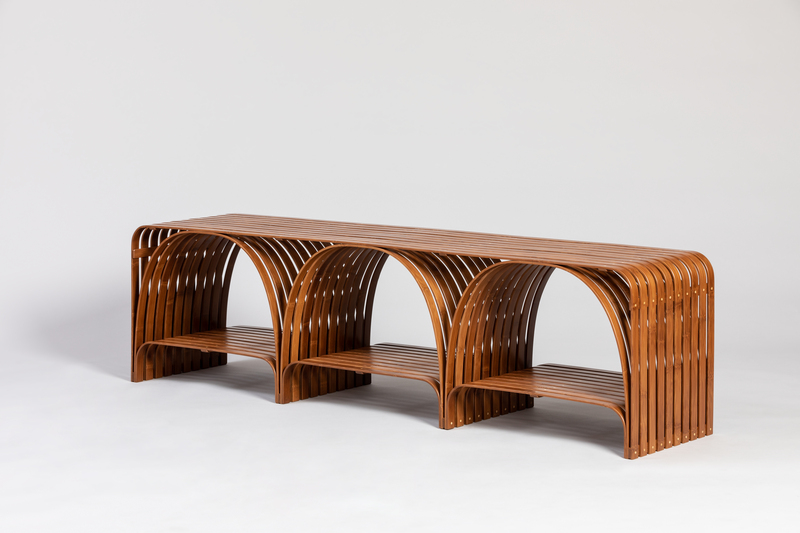 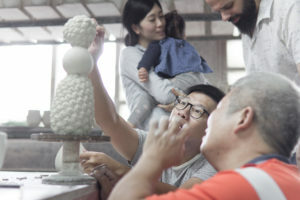 BCXSY have found their inspiration while exploring the vast collection of the National Palace Museum and being drawn to the numerous artifacts shaped as natural elements – from rocks to plants and animals. 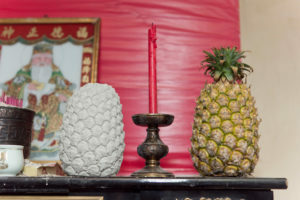 The somehow surreal characteristics of those objects was also found back in the colorful, exotic displays of seasonal fruits, often observed in juice shops. 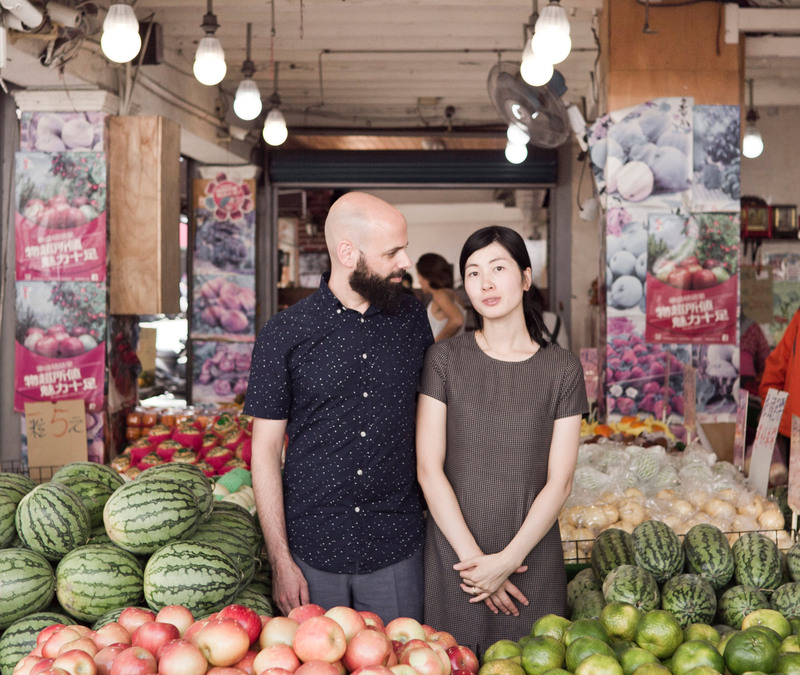 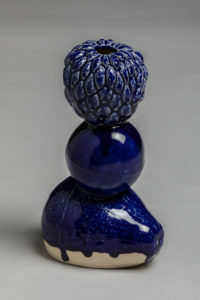 Their Fruit Tower is a playful combination of what they saw at the museum and what they experienced in real life situations. 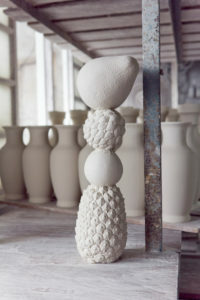 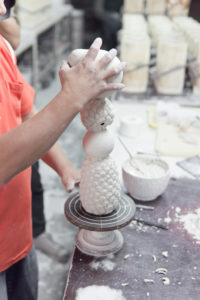 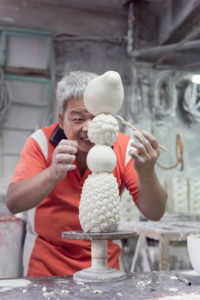 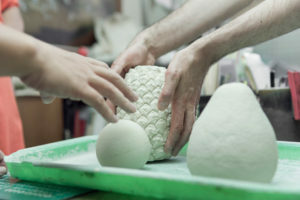 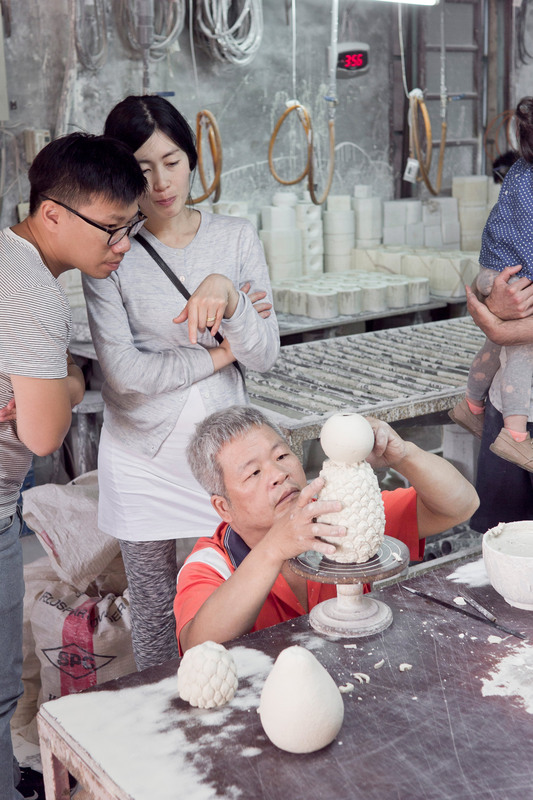 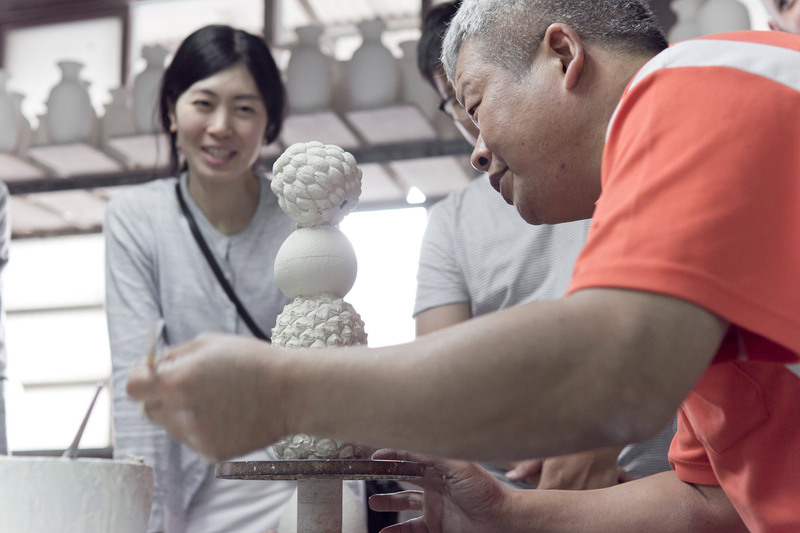 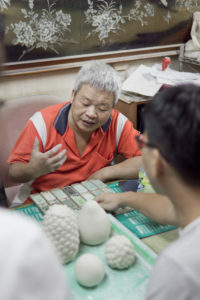 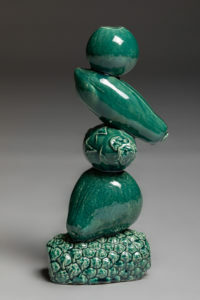 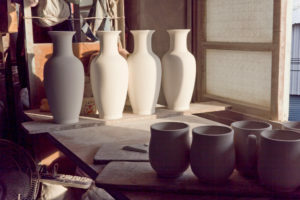 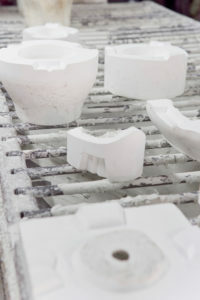 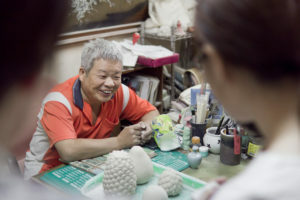 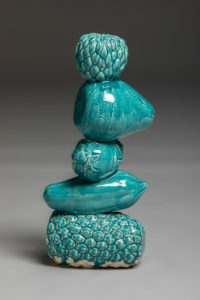 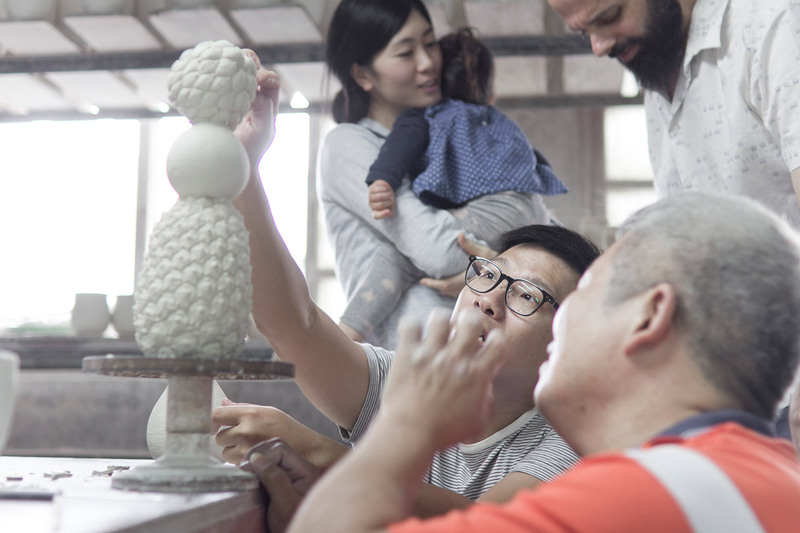 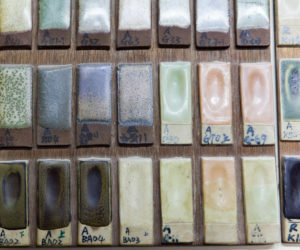 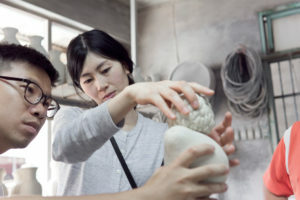 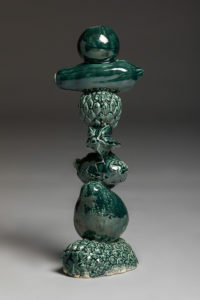 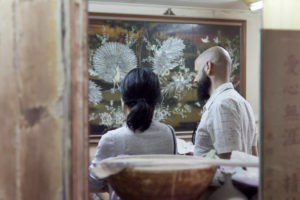 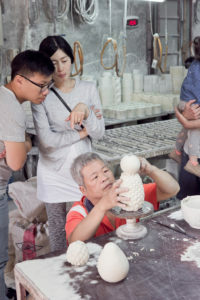 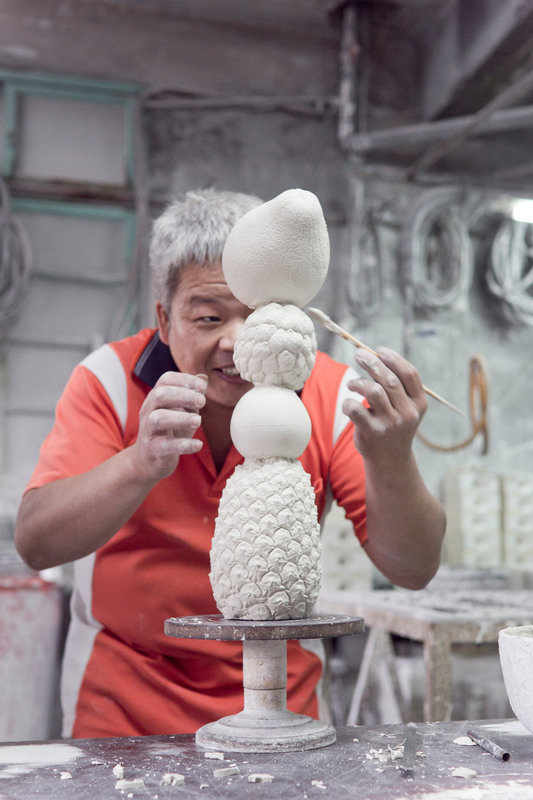 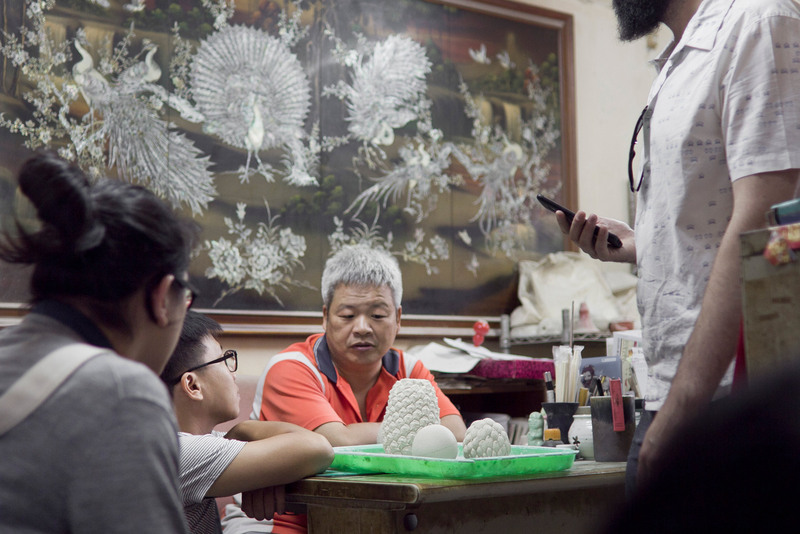 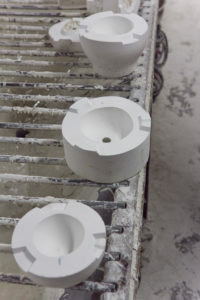 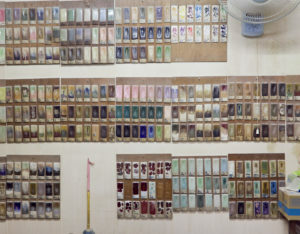 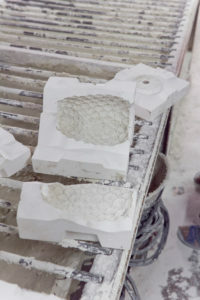 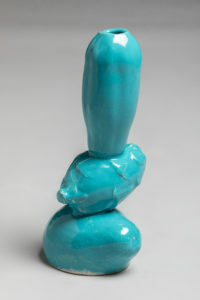 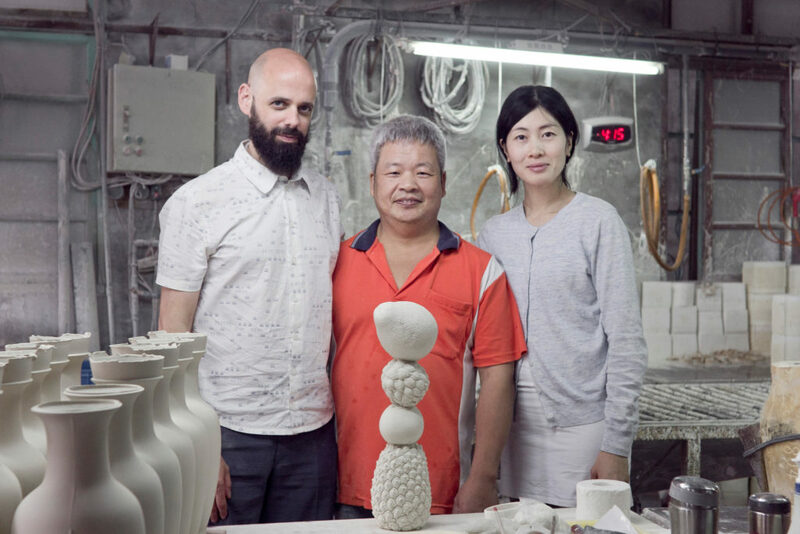 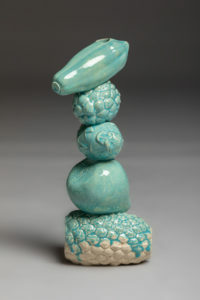 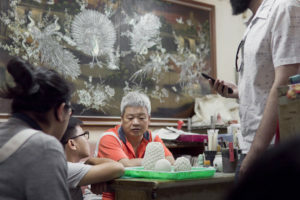 Working with the craftsman, Jian-Fu Zhong, has allowed them to explore the ceramic craft further and to achieve The Fruit Tower and its variations by finding out – thanks to the moulding process beforehand – the right balance between the shape of the fruit as they become more and more abstract and beautified with jade-like colours while being glazed. 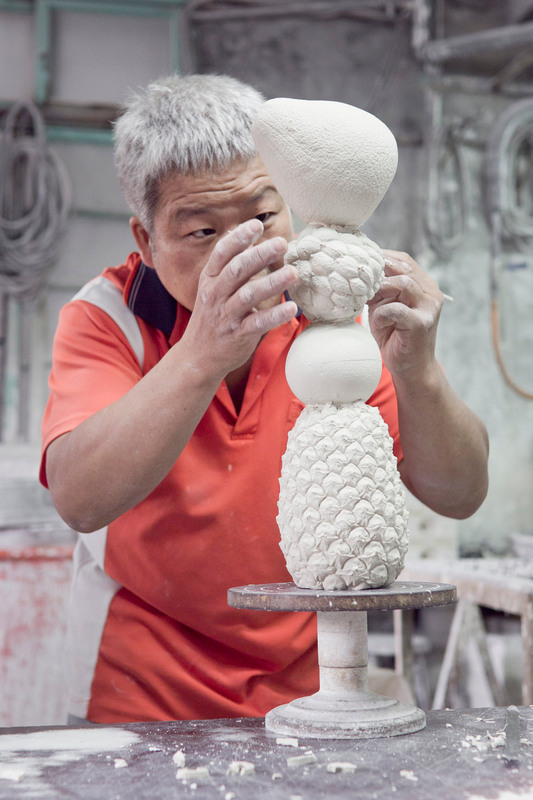 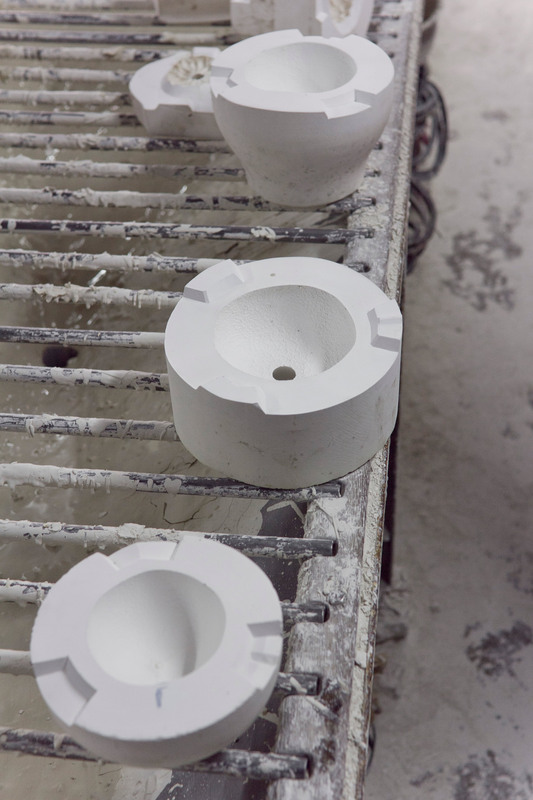 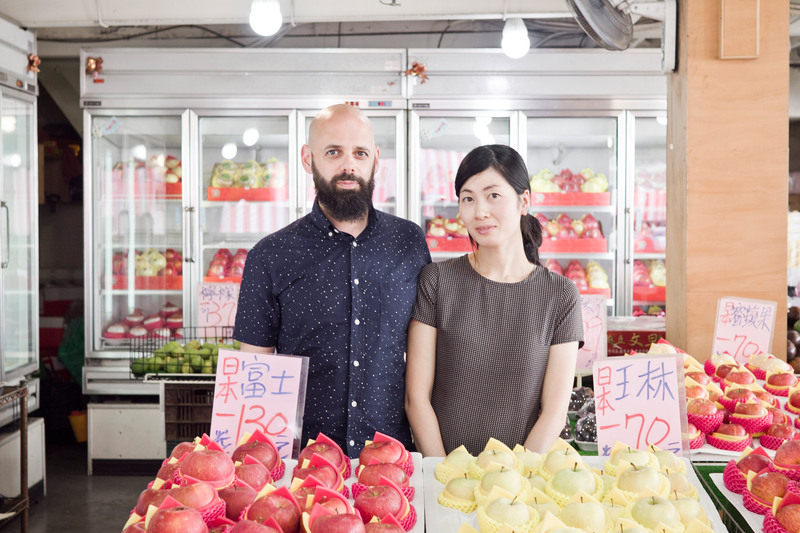 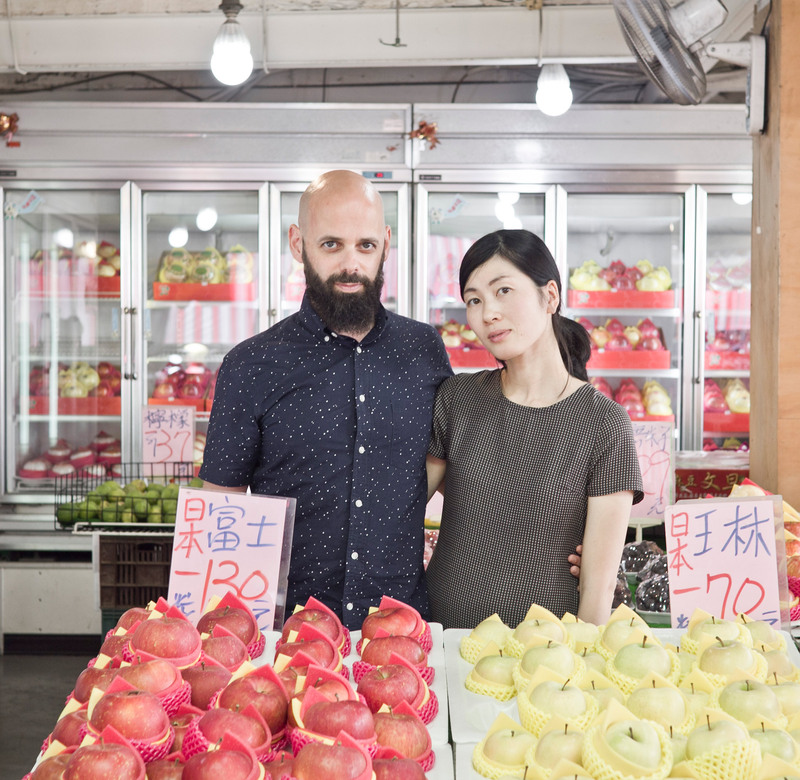 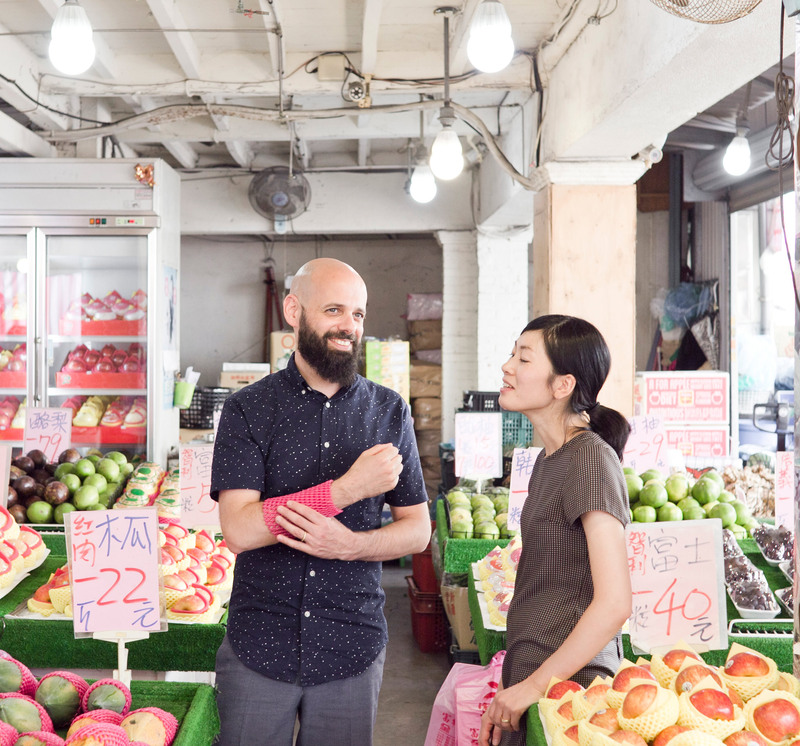 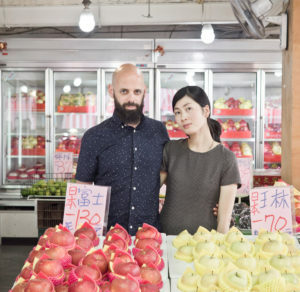 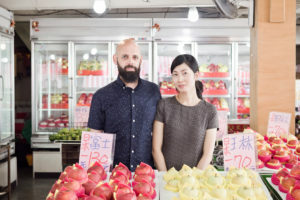 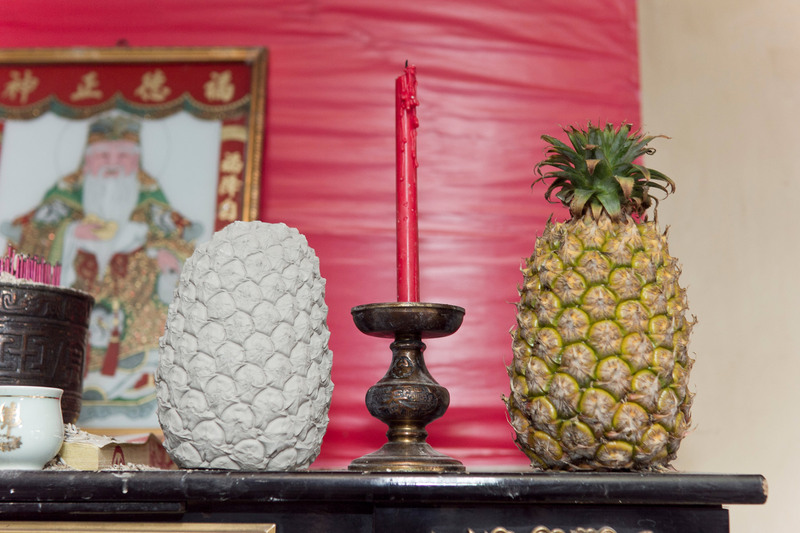 All of those Fruit Towers will become functional objects like vases… referring to iconic vegetal shapes in homage to Taiwan’s culinary symbols, traditions and contemporary life. 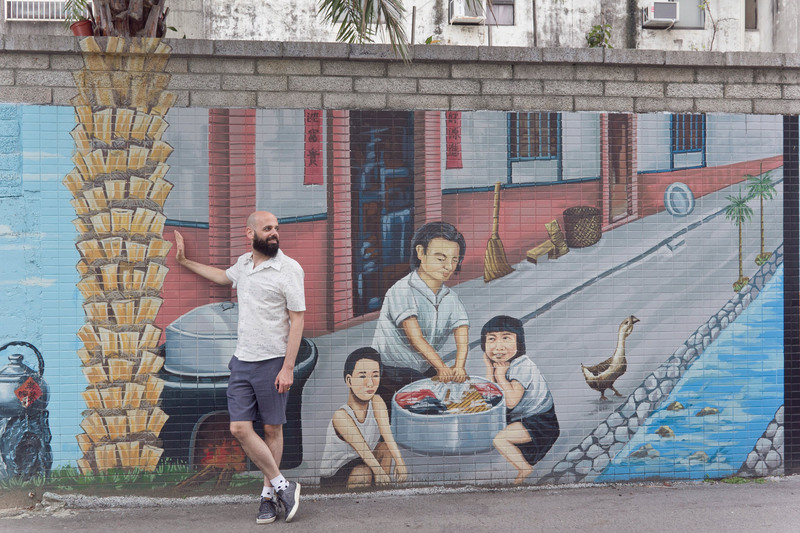 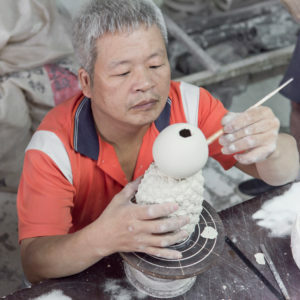 Yingge is an artistic town in Taiwan which is specialized in ceramics. 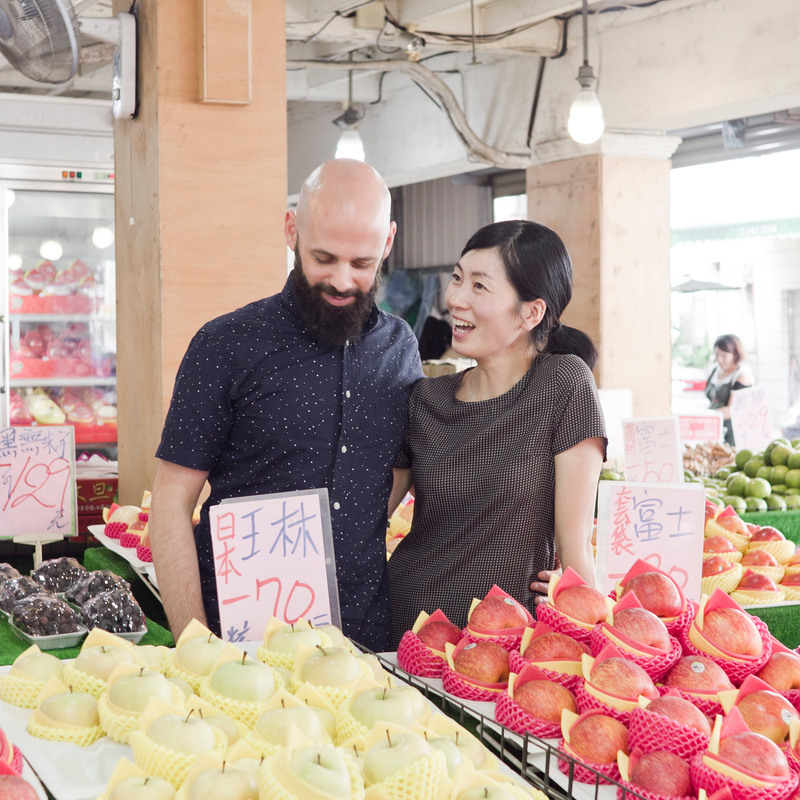 Located in the Southwest of Taipei, it belongs to the New Taipei City. 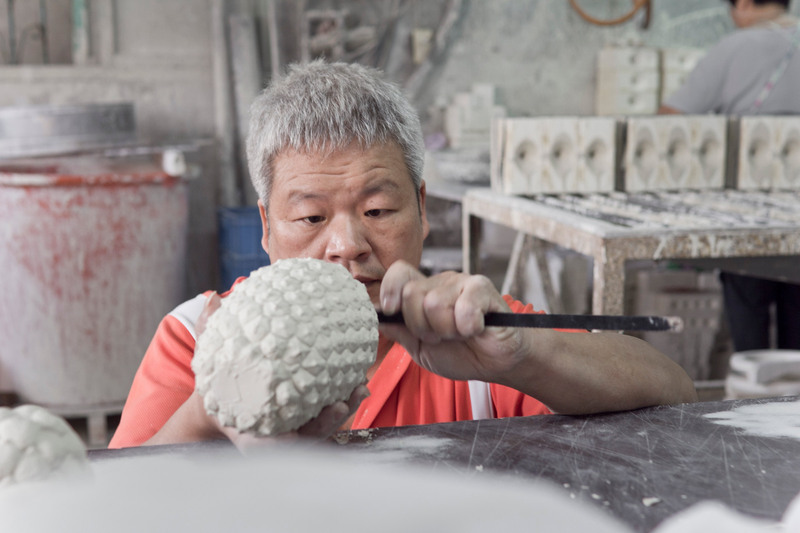 Considered as Taiwan’s ceramic landmark, Yingge’s flame is renowned for more than two centuries. 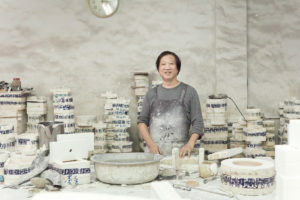 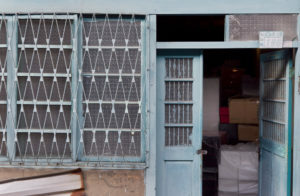 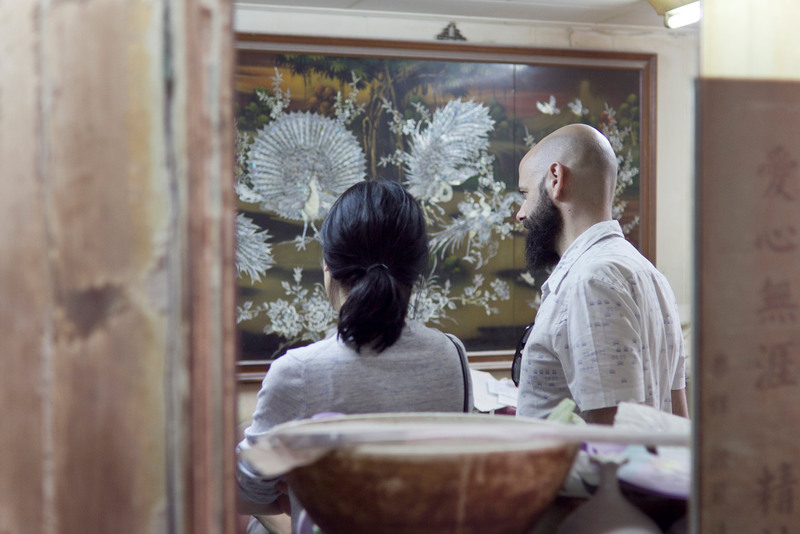 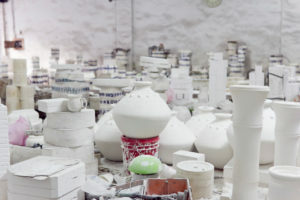 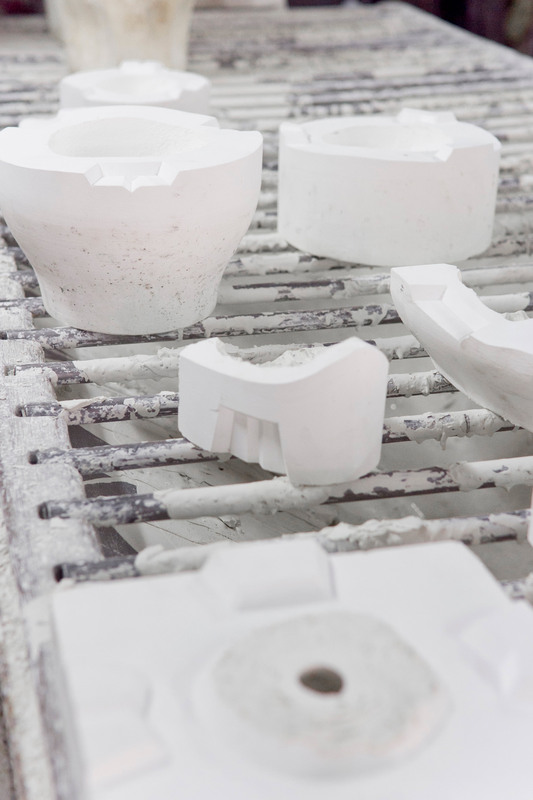 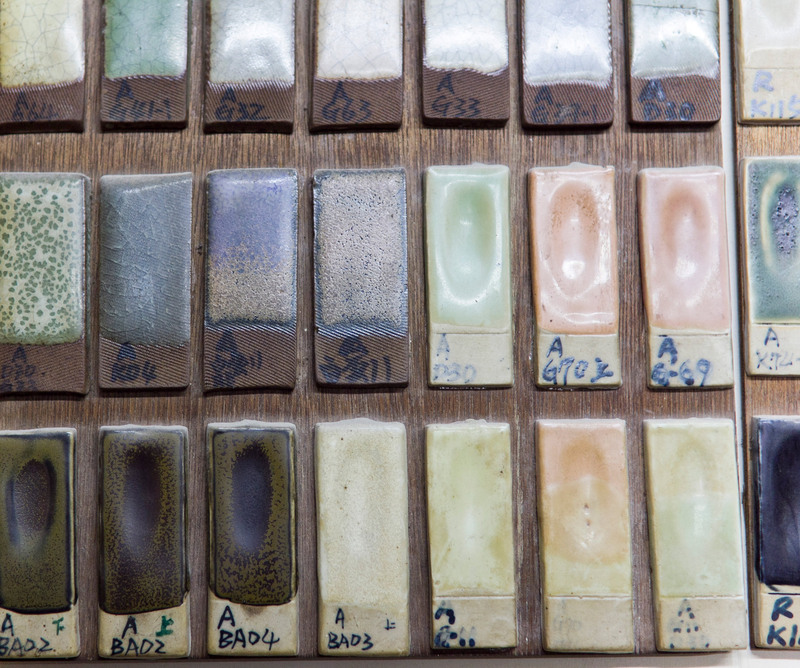 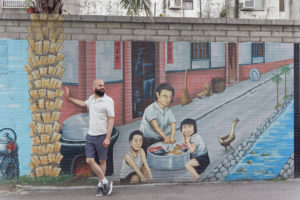 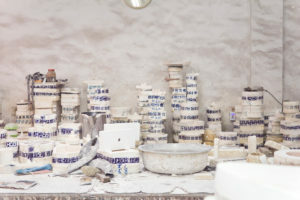 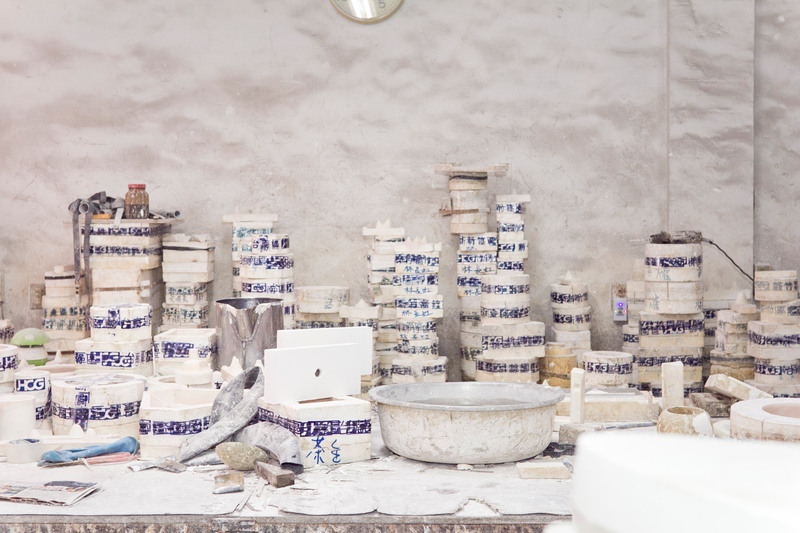 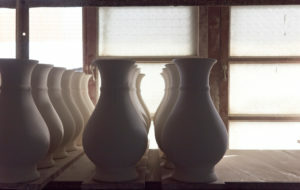 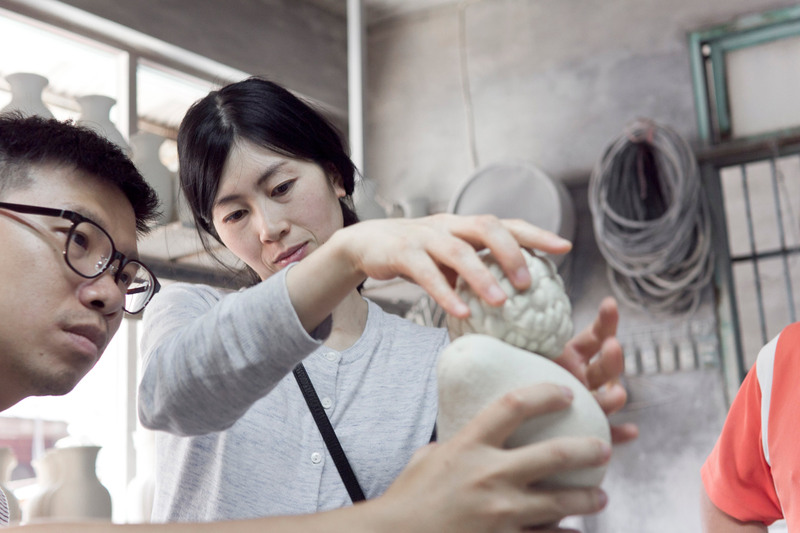 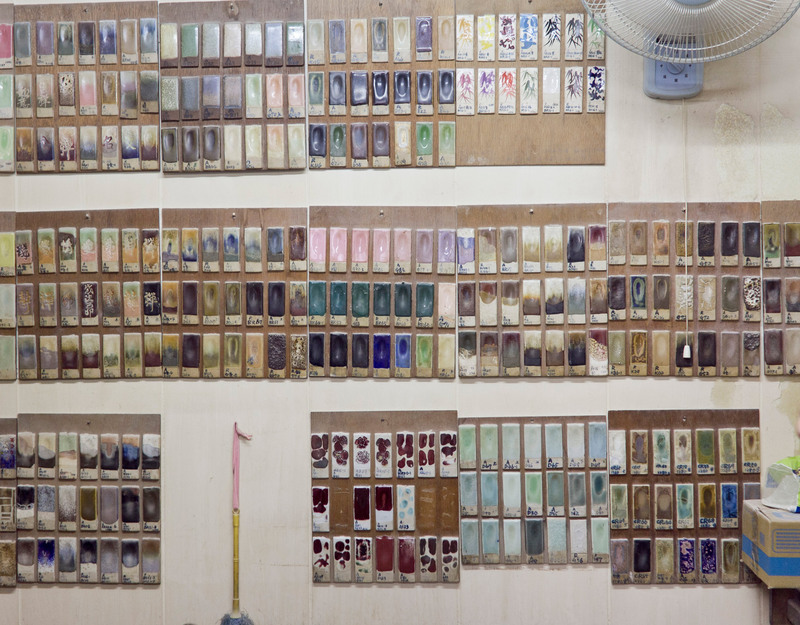 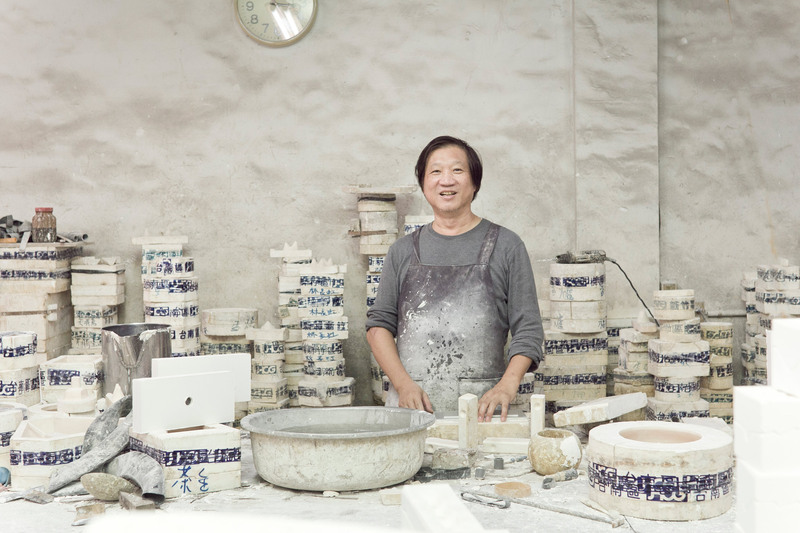 Since 2000, the Yingge Ceramics Museum is promoting both traditional and contemporary ceramics from pottery to porcelain, highlighting the history and modernity of the local artists and factories. 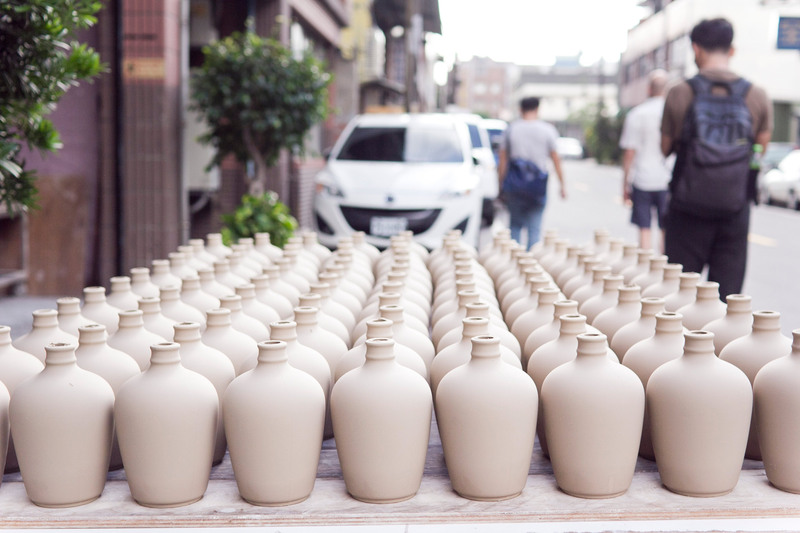 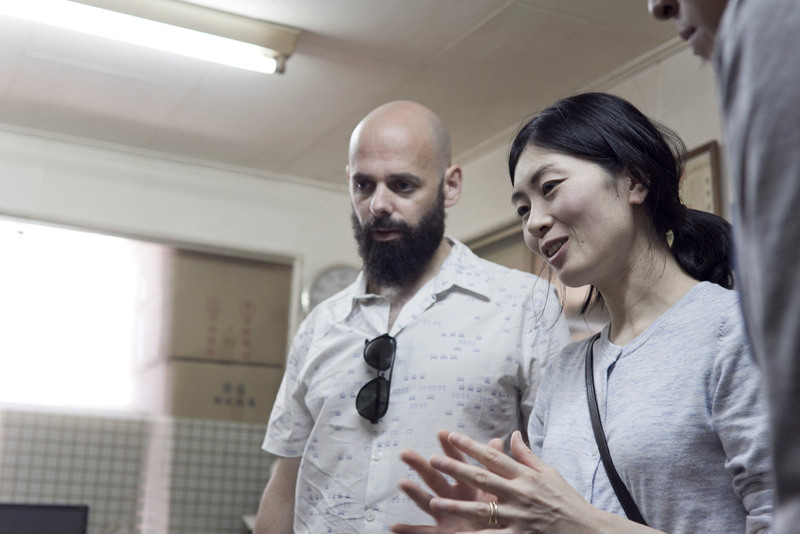 Yingge is also famous worldwide thanks to its Taiwan Ceramics Biennale founded in 2004.